Could there be a dumber idea than atheist chaplains? Okay, maybe voting Barack Obama into office a SECOND TIME, but just because the country has done one stupid thing doesn’t mean we need to do another. U.S. Rep. Michael Burgess (R-TX) gets that. You’d think the question of adding “atheist chaplains” to the military was put to rest by the House of Representatives, which voted against the controversial proposal several few weeks ago, but the secular humanist lobby is continuing to battle. 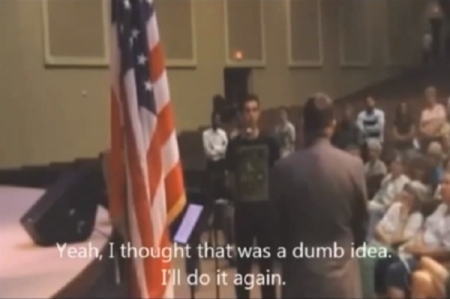 This time an atheist college student, Daniel Moran, took to the microphone at a town hall meeting Thursday and asked U.S. Rep. Michael Burgess (R-TX) why he twice voted against the measure. The whole idea of atheist chaplains is so self-evidently stupid that only a liberal or a lunatic could come up with it in the first place.